Overlooked in all of the dramatic international and national news that seems to have accelerated almost with each passing day in this most insane and tumultuous election year since 1968, has been the quiet but steady progress occurring this Summer on a number of state political reform fronts. 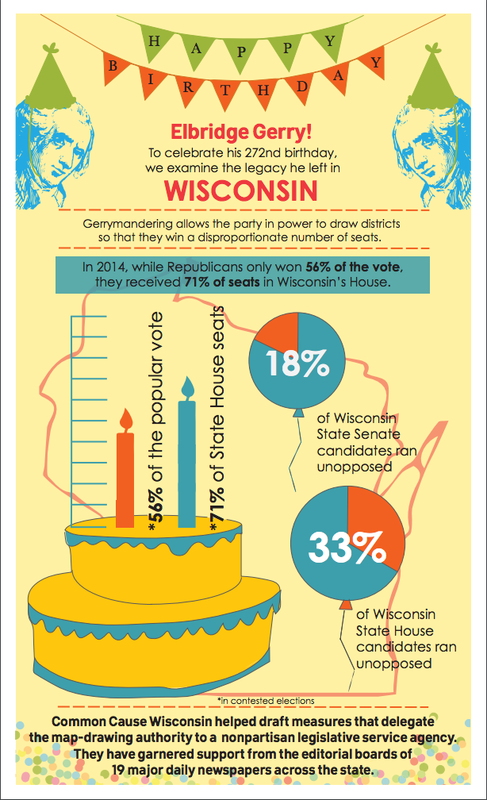 Despite the determined efforts of Assembly Speaker Robin Vos (R-Rochester) and State Senate Majority Leader Scott Fitzgerald (R-Juneau) to stamp it out as an issue and make Wisconsinites forget about it, non-partisan redistricting reform – the necessity of ending hyper-partisan gerrymandering of state legislative and congressional districts – continues to gain support among Wisconsinites of all political stripes, and will be a front-and-center issue for state legislative candidates running for election or re-election in 2016. Statewide newspapers continue to editorialize about it and CC/WI continues to inform the public about this critical issue through opinion editorials like this one, this one, this one, this one, and many more. One far right wing newspaper columnist decided he needed to try to defend the corrupt status quo by pathetically surmising that if the Democrats had been in power in 2011, they would have been just as awful as the Republicans were in robbing Wisconsinites of genuine choices in general elections. Really? That's the best defense they have? As if there isn't any positive alternative to the current, debased system? When that's the best they can come up with against ending partisan gerrymandering, then you know their policy is bankrupt and rotten to the core. This Summer has seen a big surge in the number of Wisconsinites signing our online petition – to be delivered to the 2017 Wisconsin Legislature, early next year – demanding support for legislation that would establish the non-partisan redistricting system our neighboring state of Iowa has had in place since 1980. If you have not yet signed the petition, or know of others who haven't, please do so and urge other Wisconsinites to sign it as well. We now have well over 2,000 signees but would like to double that number, if possible. A promising lawsuit challenging the hyper-partisan, secretive 2011 redistricting process that concluded oral arguments before a federal three-judge panel at the end of May could also lead to a court-ordered end to the current method of drawing new election maps every ten years. The U.S. Supreme Court may take the case next Fall. While a decision may not occur to effect the November 2016 elections, it could result in changes in 2017. For an excellent analysis of the partisan gerrymandering situation throughout the nation, we recommend this article. 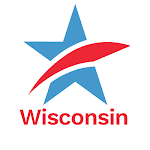 CC/WI will report on other progress being made on political reform issues critical for the strengthening and maintenance of democracy and the rule of law in Wisconsin in the days and weeks ahead. 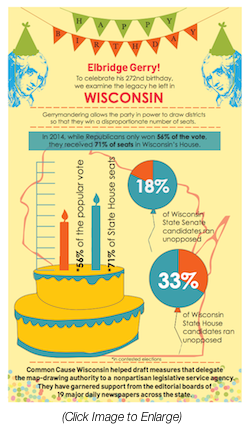 Counter Attack Begins on Hyper-Partisan Gerrymandering In 2016 ElectionsTweet this!